Turn heads in the Danbury Heritage 64 with its stunning modern-retro aesthetic, inside and out. 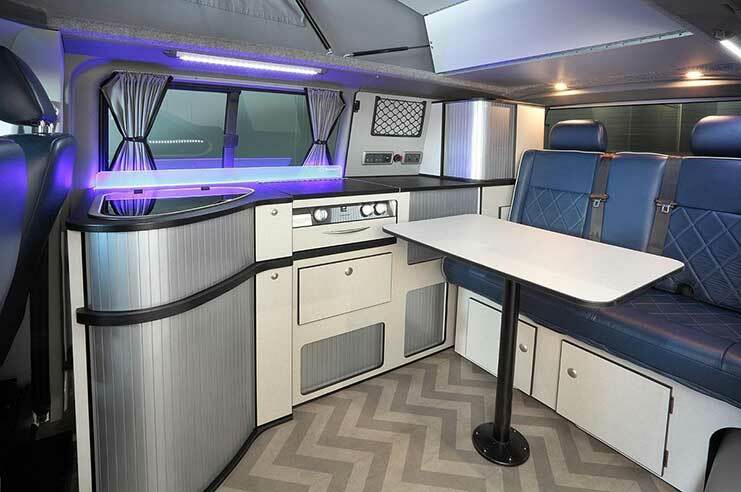 Whether you’re looking for comfort on those long, cross-country adventures, a cosy base camp for family escapes, or a reliable companion for your next adrenaline-fuelled getaway, the Danbury Heritage 64 is the campervan for you. 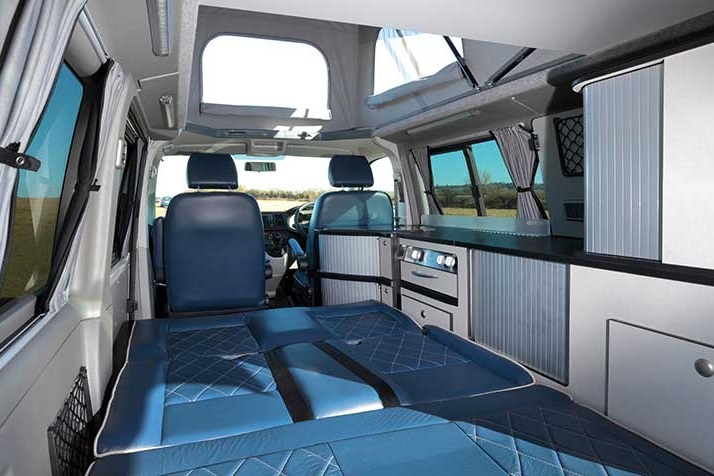 This modern, hi-spec, luxury camper handles like a car, allowing you to navigate and explore even the hardest to reach locations. Add some comfort, as well as style, to your adventures with it’s elevated driving position, parking sensors and automatic gearbox. 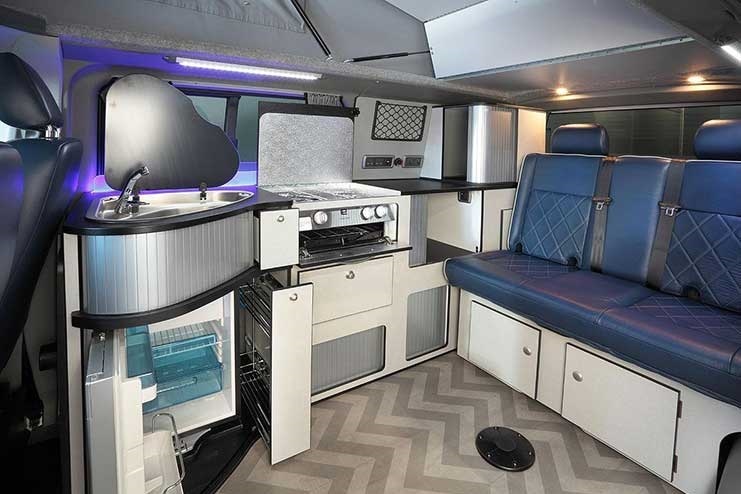 Though it doesn’t include all the features of a motorhome, you’re sure to be impressed with what this camper is able to pack in. A full kitchen, with cooking area, dual burner gas hob, sink, and a 50 litre capacity fridge. 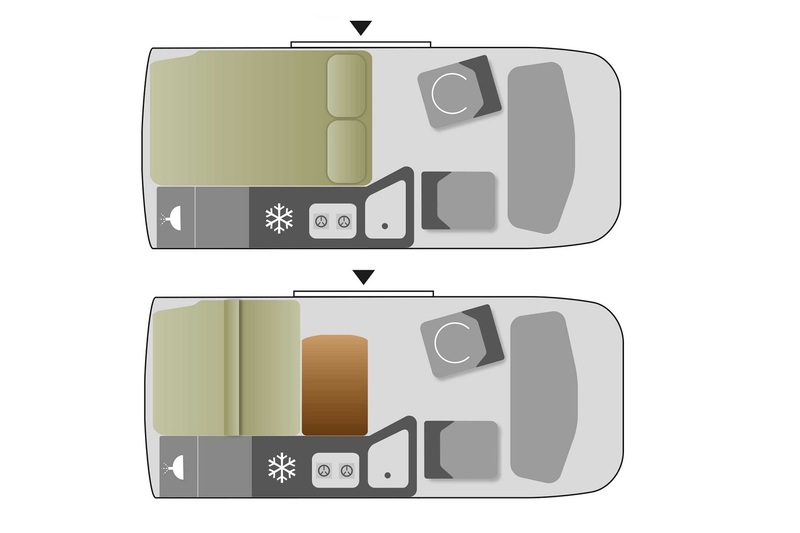 There’s plenty of room to enjoy your meals too, with a pop-up table, that once you’ve swivelled round the passenger cab seat, comfortably seats four. Perfect for friends, a couple, or a young family, the Danbury Heritage 64 is a modern nod to the much-loved retro classic Type 2 VW camper of Danbury’s past. 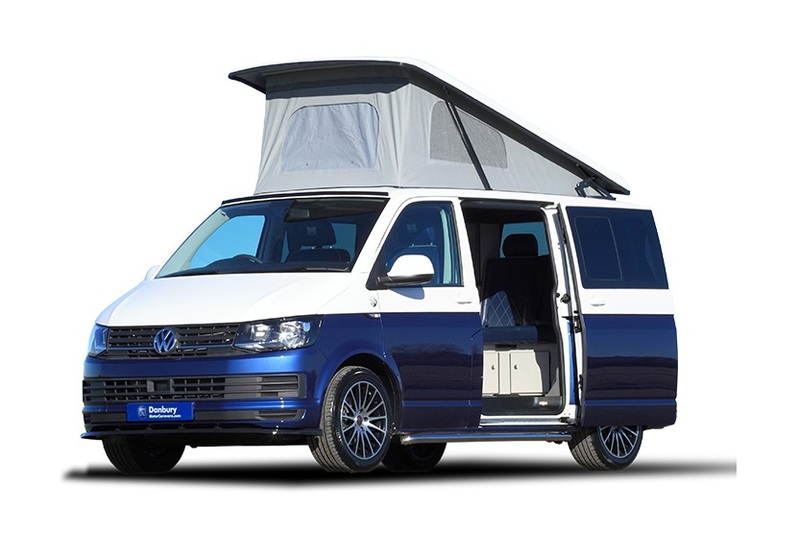 This update of a classic with it’s hi-spec and modern features, offers the chance for hugely stylish and convenient camping getaways.